Do You Know Where Your Underwear is Made? I’m guessing that the answer “somewhere in China” popped into your head when you saw the title of this post. And of course you’d be correct. But which town in China? Can you answer that question? Last week I ran across a great video, produced by The Economist, that takes a look at Gurao, a town in China that produces much of the world’s underwear. Next time you buy underwear that’s ‘Made in China’, chances are it has come from a town like Gurao, in south east China. Gurao has been dubbed the ‘town of underwear’. Its factories produce 350m bras and 430m vests and pairs of pants every year. They have made Gurao a prosperous and polluted place. But China’s one-trick industrial towns are also extremely vulnerable to shifting demand. 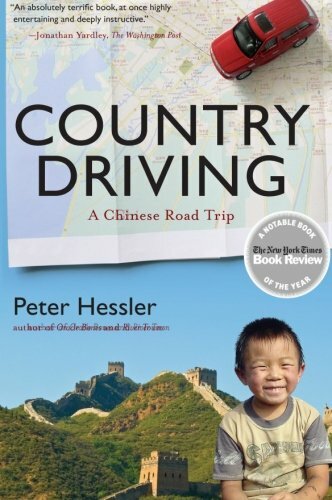 Watching that video brought to my mind the third section of Peter Hessler’s wonderful book Country Driving: A Chinese Road Trip, in which he introduces us to a man who sets out to make his fortune by producing tiny rings for bra straps! It’s as though capital intensive industrialization can be said to follow a predictable path, but every succeeding industrialist wants to believe that everything will just get better without allowance for adapting. Hey, Gurao, perhaps you might want to consider moving up the production chain with higher quality, low volume production, maybe? And for the answer, Hessler explains rather well the motives behind most wouldbe masters of Chinese industry.